So, You Want to Work as a Kitchen Aid? There are two common ways for you to get a foot in the door of the world of foodservice. You can enroll in a culinary arts school and receive formal training, after which you can start working as an entry-level cook at a foodservice establishment. The other option is to go to work immediately as a kitchen aid, where you can receive hands-on, real-world training about the way the industry works and how to succeed in it. Where Do Kitchen Aids Work? Kitchen aids don’t just work in restaurants. Several other sectors that serve food to large groups of people also need an extra pair of hands or two in the kitchen. 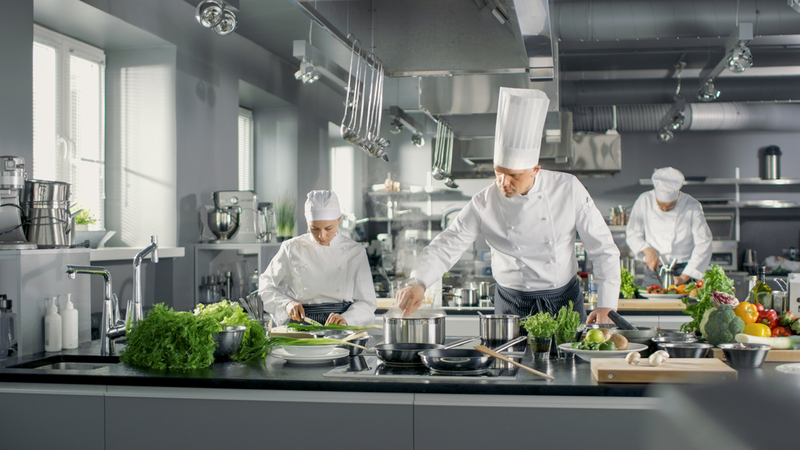 Healthcare facilities, school and office cafeterias, and catering companies for factories and businesses are some examples of foodservice establishments where you can work as a kitchen aid. What Does a Kitchen Aid Do, Exactly? A kitchen aid’s main job is to provide support for the chefs. You are the one who makes sure that chefs have everything they need to prepare safe, delicious food. Making sure the food preparation area is clean and hygienic is your responsibility. You also need to ensure that all equipment, such as the walk-in coolers and the kitchen’s commercial ice maker, is clean at all times. Some equipment, such as a high-end Manitowoc ice machine, won’t need manual cleaning, so it’s one less step for you to take. You also need to wash dishes, pots, pans, and other utensils and put them away properly when not in use. In the food prep area, you may be asked to help with preparing some of the easier dishes. Kitchen aids are often asked to wash, peel, cut, and chop ingredients for salads and desserts. You may also need to receive new ingredients from suppliers and sort them out before storage. What is the Working Hours? Kitchen aids work in shifts and are paid by the hour. If you’re working at a restaurant, hours will vary. You will be asked to work on the evenings, weekends, and public holidays. For those who work for a foodservice operator that caters to a business, you will enjoy more regular working hours. Most job advertisements for kitchen aids say they need you to work 40 hours a week, but many companies expect you to put in more hours especially during the holidays. There are also part-time and seasonal jobs available. What Skills Do You Need to Qualify? Companies do not ask for much in terms of your formal qualifications. Kitchen aids don’t need to have a degree in culinary arts to get started. You only need to be committed to doing a job well done and the ability to learn quickly in such a fast-paced, high-pressure industry. Working as a kitchen aid is no easy feat for those that can’t handle lots of hard physical work so make sure you’re in great shape before you send in your application. It’s also important that you understand the importance of hygiene in the kitchen because you’ll play an important role in ensuring that the kitchen is a safe, hygienic place to work in. Kitchen aids must also be able to work as part of a team and know how to cooperate with different types of people coming from different backgrounds.